Focusing Initiatives International is excited to announce the first International Wholebody Focusing (WBF) Retreat, from August 16-20, 2018. 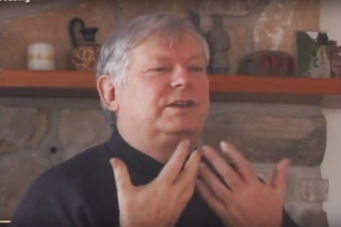 We will be bringing together Wholebody Focusers from around the globe to meet each other in our own “we” space, as well as to honor Kevin McEvenue for his role in developing Wholebody Focusing and helping it grow. This is a chance to connect, share our practice, and help build a community of interconnected Wholebody Focusers, through a combination of small group Focusing and Heartfelt Conversation sessions facilitated by Wholebody Focusing Professionals, round table discussions to strengthen our practice, and whole group attunements. Kevin will join us for three days and will participate in his own particular way. We will also ensure that there is plenty of time and space to enjoy being together in a more heartfelt leisurely manner. A pre-retreat introductory session is being offered for those new to Wholebody Focusing or who want to renew and deepen their Wholebody Focusing practice. It will start on Wednesday August 15 at 1:00 PM and end Thursday, August 16 before dinner. This makes this event the perfect occasion to bring your WBF friendly partners, friends and colleagues. For more information about the Retreat, including detailed program and fees, please go to the First International Wholebody Focusing Retreat page. 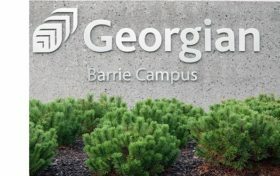 The retreat will take place at Georgian College in Barrie Ontario, Canada, starting at dinner on the 16th, and ending at lunch on the 20th. This lovely venue is close to beautiful Kempenfelt Bay on Lake Simcoe. Barrie has much to offer including beaches, recreation areas, hiking and biking trails, etc., and is about a one-hour drive from Toronto Pearson International Airport and from Toronto itself. The campus offers comfortable non-smoking, hotel-style two-bedroom suites which are air-conditioned and feature extra-long double beds, satellite TV, telephones, and network connection with free Internet. Each suite has its own bathroom plus a kitchenette with a convection microwave oven, sink and refrigerator. As a way to help build excitement for this retreat, please visit Kevin McEvenue’s Wholebody Focusing Blog. We are looking forward to you being part of our community’s conversation!! You can follow the blog by clicking on the work ‘Follow’ in the lower right hand corner of the first page and enter your email address in the dialogue box. You can leave a comment or reply for a particular blog post. Or you can send an idea or concern to the blog administrator by clicking on ‘Contact’ on the left side of the page. If you would like to support this retreat by being part of the ‘building team’ in advance of the retreat, and/or during the retreat as a Wholebody Focusing Professional, a translator, a logistics facilitator, audio/visual support or a general support person, please email Diana Scalera, Lynn Rosen,or Melinda Darer. If you are joining us and live outside Canada, please click here to review information provided by the Canadian government.